Ana was born and raised in Medellin, Colombia but has been living in Sao Paulo, Brazil for 6 years. She is passionate about personal finance, social impact, and entrepreneurship & she plans to combine all three of them to realize her dreams for a better world. She studied Finance and International Relations at the University and has experience in the public, private, and social sectors. Currently she works for a multinational company on a project related to real estate within 15 countries across Latin America. 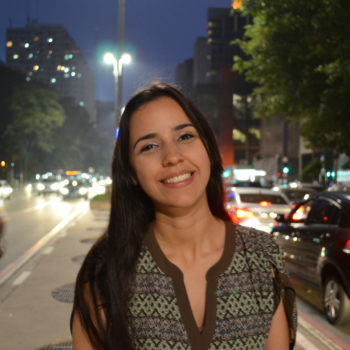 Some of her work experience includes working in the Mayor’s Office of Medellin; in an international student organization, AIESEC; co-founding and selling her family business in Colombia; in a pioneering NGO focused on social impact business in Brazil, ARTEMISIA; and at a leading architecture company. Ana loves to dance, cook and travel and believes that the world needs more leading women, tolerance, and love.